Richard Batty Music Teaching. 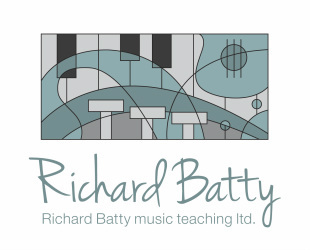 guitar piano, trumpet lessons - Richard Batty Music Teaching. professional, personal music tuition. The first and arguably the most important aspect of me is that I have a passion for playing music and a real passion for teaching it. To see others achieving success and fulfilling their dreams in music is always immensely satisfying. It is one of my greatest joys to see a student playing in anything from a junior recital or a professional band or orchestra and to know that I had some influence in that process. I studied the orchestral trumpet with (amongst others) Dennis Clift, Ted Hobart and Alan Sim, piano with Edward Parker at Newham Academy of Music in London, where the policy was to subject local children from a modest working class background to some of the finest teaching and facilities available. The result was an Academy that produced many students who now earn their living as professional musicians - myself included. Theoretical tuition was under Lliffon Hughes-Jones, (himself a personal pupil of Ralph Vaughan-Williams) who was a prolific composer with in excess of 500 published works. Post qualification studies were with Professor Raymond Banning, one of the nation's finest concert pianists and professor of piano at Trinity College of Music. My further education was to study musical education at Trent Park College (now Middlesex University) and the Professional Development Unit of the Associated Board of the Royal Schools of Music. My tuition on guitar was via several private tutors, amongst them Ronnie Lane (guitarist with The Small Faces) and Len Argent, a top session player and resident guitarist at 'The Talk of the Town' Cabaret Theatre in London. My performance experience has been very varied and diverse. Being highly trained and experienced in all aspects of both classical and contemporary styles simultaneously has given me the best of all performance options. I have been fortunate in being involved in performing all genres from Orchestral, Recital, Rock Concerts, festivals and Jazz through playing guitar with the world famous Victor Sylvester Orchestra, working with many contemporary music bands, many classical orchestras to being a professional organist in the Church of England! Performance with many contemporary bands over the years has given a wide experience. There have been far too many to list here, but notably working with 'Charisma' in 1972-79 which enjoyed BBC recordings, and numerous nationwide gig successes. Between 1980-1987 I worked extensively in London with 'Parson Hogg', a highly successful electric folk/dance band. I have been active as a session musician appearing on many albums and soundtracks. I have recorded for BBC, both TV and radio broadcasts on several occasions and have been involved with recording production and direction of all kinds of music. 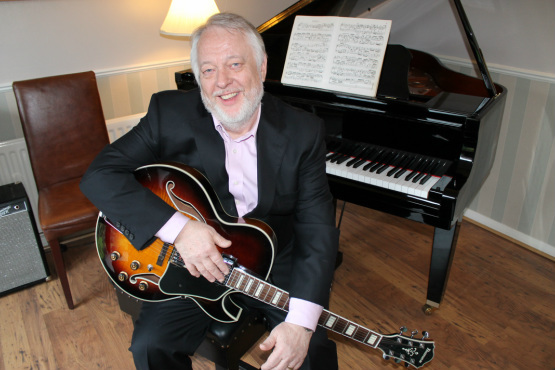 I also have enjoyed extensive work as a lounge pianist, and formed 'The Richard Batty Trio' a jazz piano/bass/drums band used in many professional engagements. Alongside performing at many provincial theatres, cathedrals and concert halls I have performed at, and been a soloist at many of London's large venues including (amongst others) The Royal Albert Hall, Royal Festival Hall, Queen Elizabeth Hall, Purcell Room, NEC, Wembley Arena, Earls Court on many occasions. Classically, I have wide experience from Baroque Through Romantic to modern. Having a great deal of orchestral and band experience, I have been also been active with an interesting piano recital portfolio and other works including extensive brass quartet and quintet work. I have a robust experience in choral and orchestral conducting. I have had the benefits and experience of working under the direction of some great conductors, amongst them Sir Adrian Boult, Bryan Lancelot Fairfax, and Ex Prime Minister Sir Edward Heath as well as performing with other well known artists. I have appeared on many albums, soundtracks and broadcasts (BBC TV and Radio) as a session musician over the years. Personal recordings include rarely heard piano music from 20th Century British Composers. Although I have largely relinquished professional engagements for a commitment to full time teaching I still undertake freelance and session work in all genres where this does not interfere with my teaching commitments. 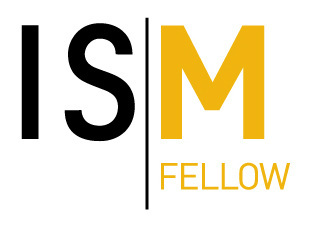 Membership of the ISM is available only to professional, verified and qualified musicians. An advisory and examination body for professional teachers. Registered teacher for examination entries. Associated Board of the Royal Schools of Music, Trinity/Guildhall and Rockschool. My goal as a performer has always been to bring real, live music to as many people as possible. My mission as a teacher is simply to use this experience to bring out the talents in my students. With all students I teach the pure enjoyment of playing, but for those who wish to undertake a course of study for qualifications the following pages will answer your questions or call me to discuss your requirements. I love water and the seaside, and have enjoyed owning and maintaining boats in the past, and now spend many a happy hour at our holiday home at the coast. I also have been a serious classic car enthusiast when time has permitted, in particular British classic cars of the 1960s and 70s, Jaguars especially, of which I have been privileged to have owned four of those fine classic British machines.